Just in time for this miniature monsoon that has hit the east coast, the fellas at Well-Spent turn our attention to a great outwear piece from Baron Wells. The brands&apos; windbreaker, made of Japanese nylon in a matte finish has an extensive list of details. There&apos;s a three-panel hood, dual front patch pockets, adjustable button cuffs, an elastic waist and much more to make this piece stylish and super functional. 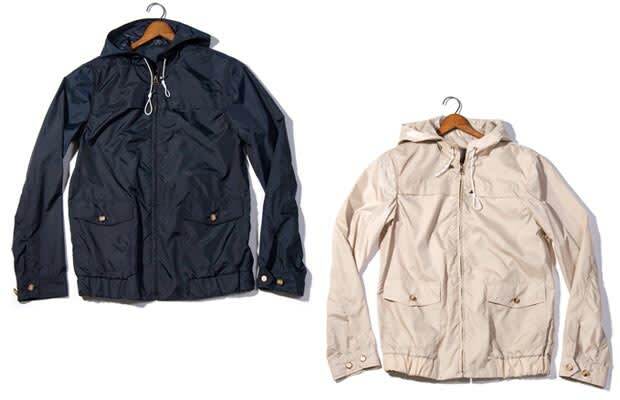 Make a trip to Brooklyn&apos;s own, Goose Barnacle to pick up the Baron Wells windbreaker in either navy or khaki for $249.